Hi, we’re Star Cat Books & we’re all about saving the world: one local, independent business at a time. One book at a time. One person at a time. We’re in Bradford, VT, nestled in the Upper Valley of the Connecticut River, not far from Dartmouth College. 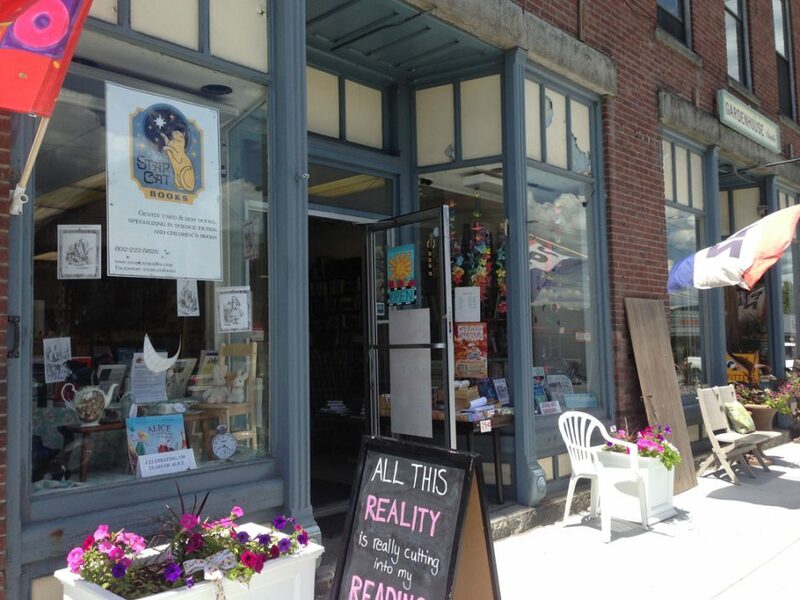 This bookstore has existed in several incarnations for almost two decades, stoutly supported by a vibrant local economy and its peoples, who are dedicated — as we are — to keeping independent businesses alive and well. With the name change to “Star Cat Books” in the winter of 2013, we have begun specializing particularly in science fiction and children’s books, as well as local authors and a variety of other genres. We will be bringing in more authors to speak, read, and sign their books; events with local businesses; events with local groups. The entire idea of our bookstore is that reading and literacy is at the foundation of civilization, and as such should be at the foundation of a community. Luckily, we have such a supportive community here in the Upper Valley, and we hope you join us sometime in experiencing it, too! Sometime in 2014 we will begin participating in an independent bookstore program with Kobo e-books, and will as such be providing Kobo e-readers here at the store for purchase, as well as teaching people who want to delve into e-books how to use their Kobo and buy books through us and/or on their own at any website that carries e-books (not just tied to the Big Name Online Bookstores, as those other e-readers do!). We hope you stop by and stay a while: kick up your feet, peruse our selection, and participate in some good conversation. Star cat books is open ! Come on down check us out..